Here's a crowdfunding project with a difference. 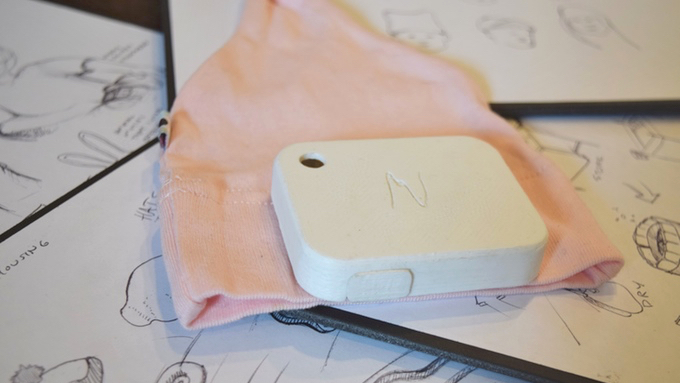 For $75 (or $50 early bird) you can sponsor a smart, sensor packed, health monitoring hat for a newborn baby in Uganda. Neopenda measures temperature, heart rate, respiratory rate and blood oxygen saturation. It is being developed by a New York based health startup, of the same name, founded by Sona Shah and Teresa Cauvel, two Columbia University biomedical engineering graduates. The Kickstarter campaign is already close to half of its $40,000 target but has only 15 days left to reach that figure and ensure Neopenda gets funded. If successful, each backer will sponsor one connected baby hat in a pilot study in a hospital in Uganda, planned for December 2016. Backers will receive a photo and story about the baby wearing the smart hat that you've sponsored and, for anyone pledging $500 or more, the team will create photo books and behind the scenes videos from the field. Up to 24 baby hats can be wirelessly synced, via Bluetooth, to one tablet which will run custom software. The idea is that doctors and nurses can check up on the vital signs of the whole room at a glance and get alerts if any changes in temperature or heart rate, say, are cause for concern. The team estimate that if the smart hats - currently at the prototype stage - were produced at scale, they could cost as little as $1 each. Globally, three million babies die in the first month of their life and it is one of the United Nations' Sustainable Development Goals to end preventable deaths of newborns and children under 5 years old. With 600,000 newborn deaths each year during and shortly after birth in Uganda, it's a huge problem which could benefit from a low cost wearable system like this. UNICEF, Frog and ARM has also been tackling this problem in its first Wearables for Good competition. Last year we profiled WAAA! by the University of Huddersfield, a project which combines a wearable sensor with educational materials and is also looking to pilot in Uganda.